Live worksheets > English > English as a Second Language (ESL) > Places in the city > Places in my neighborhood. 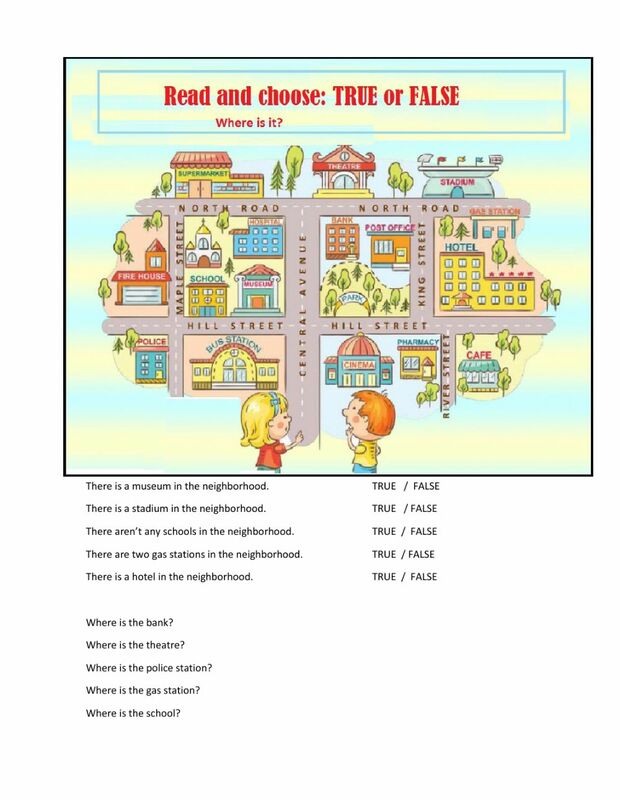 Look at the map and answer. Copyright 3/17/2017 SilviaGarcia. Publication or redistribution of any part of this document is forbidden without authorization of the copyright owner.